Welcome to InKing Royalty’s January Blog Hop – our first hop of 2017! Today’s hop is filled with inspiring projects that feature each artist’s take “Love is in the Air”. This is the best time of year to start planning your Valentine’s Day projects. There are amazing, new products in Stampin’ Up!’s Occasions Catalog – and NOW is the best time to get them. We are excited to share our projects with you and hope they inspire you! After you read my post, I hope you’ll hop over to the next person on the list at the base of this post. So tonight when I got home from work, I started on my card. The first step was to tape down some watercolor paper on a board. I use an old wood clip bard. Then I used my layering circles dies and traced some circles with a light-colored prismacolor pencil. (ginger root was the color) And so then the fun began. Using my new Stampin’ Up! watercolor pencils, a paint brush, and some water I painted the circles. Dried them and painted some more. This process is not fast! It took me about an hour. Witch, I was not fully expecting. And is really what caused the next event. Not, that the process was hard. I was just being slow and carefull! Trying my best to be like K. Warner Designs……Anyhow, I went and cut down the paper into two small squares. Stamped love on the card. And slapped it on a 4 by 4 card base. Just like I know what I was doing!!!!! Woops…Where did the heart go that was suppose to be a balloon. Anyway, I love the end results balloon or no balloon. Thank you for stopping by today. I hope you’ll hop along to the next stop on the blog hop, Lynn Kolcun at Avery’s Owlery. There’s lots of inspiration to be found in this group – and you don’t want to miss it! 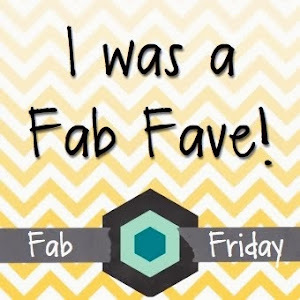 I love blog hop days because I love seeing what all my friends are making. I hope you will hop along with us and leave some blog love (comments) along the way! love love love this! I am a little intimidated by those watercolor pencils but I am going to give this a shot, so perfect! Of course, as always, you have created something totally new and amazing, Jennifer. I want to be you when I grow up! Jennifer, you are the queen of watercoloring and I bow to your talent! This is stunning! Jennifer, I love your notecards and the story of how you created them! I love watercolors but haven’t had a chance to use watercolor pencils much; I totally want to try this technique now! What a great idea to use dies as a stencil, thanks for the tip! This is lovely and I love the watercolors! I haven’t attempted it myself yet. I am kind of nervous about it! Thanks for sharing your beautiful card. So pretty. Beautiful color choices, they look perfect together. Also love that you can see the circle outlines peeking through. Lovely. Such an artist! I love these circles, Jennifer, and how you’ve beautifully painted them. The “love” sentiment is perfect here. Thanks for hopping with us today. This is just beautiful. I am seriously in love with this card. I really wish I had a smidge of your talent! Beautiful water coloring, as always! I also love a square card to change things up. You are a queen when it comes to watercolor! Love this bright card! Wow a work of art for sure! Beautifully done! Your artistic talent on display again. Love how you used the pencils, Jennifer. Just perfect. Lovely card Jennifer. First word that popped in my head was ethereal. I’m sure it would have been a lovely addition, but I like it without the balloon. So very lovely… I love the soft watercolors and circles… your card makes me smile! BEAUTIFUL!! !